Unified communications offers businesses a lot of flexibility. But empowering voice communications can mean so much more with the strategic use of cloud integrations. Cloud integrations turn business processes into lean functions that unify otherwise isolated systems — ideally adding a dash of automation along the way. 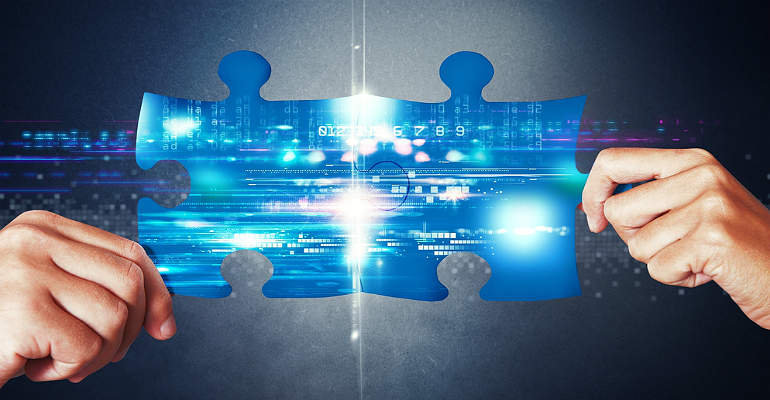 Integration can mean bringing legacy business processes up to today’s communications standards. But more importantly, it means taking a step forward and integrating the business applications you use every day into your communications system. By doing this, a business can support more business efficiency, manageability and scalability — not to mention maximizing the benefit of the initial investment in business software. The benefits of integrating business software into your communications system. Why businesses both large and small are embracing robust cloud-based business software integration strategy. The best integrations to improve employee productivity, customer service and business management. The key benefits of popular CRM integrations such as Salesforce, SugarCRM, Zoho and more! How to get the most out of your cloud integrations investments. Simplifying security architecture can be especially difficult for legacy organizations. eGroup was one of three U.S. partners to win the Depth Partner Award at Ingram Micro Cloud Summit X.